GTR and Westpac recently hosted a roundtable discussion in Singapore, discussing sustainability and trends and the opportunities and challenges facing those working in the space. GTR: We are always looking at ways in which to make trade more sustainable and today we will discuss the challenges the industry faces in that regard. With that, I will ask everybody to give me a brief synopsis of how you think, in recent years, your own operations have changed with a view to sustainability. Blakeman: At Cargill, sustainability has risen to be among the top issues that the company is facing as we move forward. That is an evolution that has been going on for around eight years now. It has been driven by a whole host of issues, including understanding the climate challenges that we face both with what crops we grow, and working with farmers around the globe to help them manage those climate change challenges. There is also demand from our customers who want to make sustainability claims and say that as Cargill is their supply chain they want us to figure that out. Last but not least, the NGO community has done a very good job of exploring supply chains and uncovered where there are issues that could or should be managed in a better way as we move forward. It has basically changed the way we think. Goon: Ten years ago, certain customers would ask: ‘Where do our commodities or feedstock come from?’ and we would struggle to answer. Today, it is unacceptable not to know this. I think transparency and traceability are key. Consumers are a lot more knowledgeable and want to know exactly how their consuming habits are affecting climate change. Marjanovic: Sustainability probably should be seen in a wider context of a real shift in market norms in recent times. Jeremy, you were talking about changes over the last 10 years. If you look at the wider context you have the IFC initiatives with the performance standards, the environmental impact assessments and the Equator Principles coming into play. There is now a relatively new initiative on trade. There is a clear trend globally that industry, financiers and so forth are moving towards regarding the ethical part of business. GTR: As a lawyer, are you seeing that the work coming across your desk has more of a sustainability bent on it? Marjanovic: Certainly on the project finance side there has been a clear shift towards sustainability in the context of the IFC rules and the Equator Principles. We saw that probably commencing about 10 years ago. It has become increasingly important, even for mezzanine debt providers and not just senior debt and ECAs. On the trade side, there has been slow initial progress, but it is starting to creep in. Zaman: My specialisation is climate change, which has suffered from similar issues to the sustainability sector. The big issue in the climate change space, as is also the case in sustainability, is: how do you put a price on the value add that you are supposed to be bringing to the table through sustainability? That debate hasn’t changed over the last five years or so. It’s becoming more prominent, but I don’t necessarily see any answers being provided. For me, in many ways climate change is leading the way because there is more regulatory framework surrounding it and there are more laws driving and enforcing behaviour. That is not necessarily yet the case in the sustainability context. I think if you want to look at where sustainability can go, there are lessons to be drawn from a lot of the climate change-specific issues, where you can draw on that experience and apply it. Kelly Chen: I think transparency goes hand in hand with sustainability. For us, formalising our commitment two years ago was the first step. We also had to increase our transparency, working on traceability and engaging with our suppliers and partners on the ground. That allows us to focus on improving livelihoods on the ground. For example, we work on smallholder projects such as helping smallholders get Roundtable on Sustainable Palm Oil (RSPO) certification. Khiang: RGE is a group of companies in the palm oil, forestry and paper pulp sectors. The founder firmly believes that the company must do what is good for the community, what is good for the country and what is good for the planet; only then would the company be sustainable. In 2000 we contributed 40,000 hectares of forest to add to the Tesso Nilo National Park as part of our conservation effort. Unfortunately, that piece of land is now 85% encroached, burnt and converted to plantations. The standards have evolved over the years. In 2005 we were the first adopters of the high conservation value forests standards. In the process of conversion of some part of a forest to plantations we actually ended up conserving 250,000 hectares of high conservation rainforest. My point really is that we have been trying to be sustainable from day one. Of course, over time, as the standards move, we have also changed our practice. Michael Chen: We are one of the founding signatories to the Equator Principles, which Peter referenced. We are also a member of the Banking Environment Initiative (BEI) and a signatory to the Soft Commodities Compact. This all means that ultimately we work with our customers, including some of you, to ensure that there is zero net deforestation by 2020, as well as not violating the rights of workers and local communities. These commitments are outlined in our Financing Agribusiness Position Statement. Also, 18 months ago we recognised our role in a two-degree economy. We are currently looking to operationalise what has come out of Paris through our commitment to operating in a manner that is consistent with supporting atwo-degree economy. GTR: Maybe one of the traders at the table could speak about how their banking relationships have been affected by sustainability considerations? 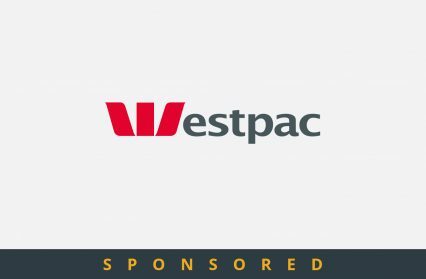 Goon: Westpac may have that perspective, but a lot of local banks within, perhaps, developing countries have a very different perspective. Many of those banks do not even subscribe to the Equator Principles. Global banks certainly view this as important, but there are lots of local banks in developing countries that do not, and they are perhaps the ones today that are funding the more unsustainable activities, including land use change or expansion activities. GTR: So where are the drivers for change coming from, Jeremy? Goon: The drivers for this are manifold. Certainly, civil society has to be credited in a big way. I also think that without civil society pressuring the banks, the consumer goods companies and the companies themselves, we would not be in the situation that we are in today. I think a lot of the global companies that operate in the marketplace today have an obligation to not just adhere to national regulation but to try and get close to what the global expectations of their brands and companies are. That is very important. GTR: Is that a view that is shared across the board, Bruce? Blakeman: It absolutely is. I echo my colleague’s comment. Also, shareholders and owners have played a role. Cargill is a privately held company. Their names are on the wall, and they are concerned about how Cargill is looked at around their colleagues, friends and peers who are also very important people. It is important for them to be able to say with a straight face, ‘We are doing what we can do’. GTR: It is obviously not philanthropy as well; it has to be profitable. Is that in your thinking as well, Bruce? Blakeman: It absolutely is. First of all, it has to be a business decision. If you cannot make it a business decision then it is unsustainable by definition. To go out and say this is philanthropy would not be the right thing to do. If the market is not going to support what you are doing and think of it as a supply chain solution, I would argue very strenuously that it is never going to lead to the industry transformation that we need. Goon: In the past various stakeholders used to ask us: ‘How much does sustainability cost?’ and they used to ask us: ‘How much does it cost per tonne of palm oil?’ I think we perhaps changed the narrative a couple of years ago when we said: ‘We no longer have separate accounting for sustainability.’ It is integral to the cost of operations, because without it we basically would not be able to do business. Manchanda: Is it in the KPI of all of the traders? Goon: It is, and it was something that our board made sure was done a couple of years ago. Zaman: There was a report that I read in passing. It was a 2015 report. Rather curiously, they said that they anticipated global sustainability consultancy spending to be about US$877mn in 2015, which is not a very big number. When you apply it across some of the companies, it equates to an average of something like $150,000 to $200,000 per year, which again is not a very big number. That report predicts that by 2019 the market may be as large as US$1bn, which is still nothing. In between now and 2019 they are expecting perhaps a 4% growth per year in the sector. Those people who specialise in providing advisory or other services to companies who are focused on sustainability, have to ask themselves why they would go into a market that only has a 4% year-on-year growth, where there are probably more capable people than a US$1bn budget can support? For me, that is quite a telling story about how you convert what are aspirational issues to core issues in an organisation, because if you really believe in it then you put your money where your mouth is. Khiang: Your number is probably indirect costs. For us, if we decide to conserve more than is necessary because of high conservation value forests, then we have to take grounds from further way. There are then costs such as transportation. When we conserve the forest, we have to spend money. That is more so if it is an already degraded peatland. Blakeman: What I want to say is that there is a cost to it, at least at the beginning. We are looking at transformational change. It is going to add cost and these are things that companies are going to have to pay for all along the supply chain. Saying that from day one it is a business proposition and you can start making profits is inaccurate; that does not occur. It involves sinking millions of dollars into setting up the systems and processes in the supply chain to get to the point where it will become profitable at some time in the future. Your numbers I am actually baffled by. Jeremy and I can sit here and tell you that we spend millions of dollars today, with just our two companies, on sustainability efforts. Zaman: You must bear in mind it is a global average. You guys are probably pioneers, so you are helping to buffer everybody else’s efforts. Goon: I cannot imagine that the total number as US$1bn could be anywhere close to accurate. GTR: Is that perhaps US$1bn spend on external consultancy? Zaman: Yes, that is the number. Manchanda: It is also not possible to measure the community lives that you touch and the intangible value that goes with it. Blakeman: There are also the things we do on the ground. We run schools, we build roads and we provide safe water. I even got bookmobiles in Indonesia. We provide retirement homes. We provide medical clinics. That is all free of cost. We tend to be the de facto government in a lot of these areas where we are present because they are so remote. Marjanovic: I think it goes back to Jeremy’s point about the social licence to operate, and it is being driven largely by industry. In some remote areas governments find it difficult to address the social aspects. Goon: We are effectively the government. an attack on a company is instant and there is significant reputational damage. Does that come into consideration? Goon: It absolutely does. If you look at it from the tech angle as well, Indonesia is one of those countries where people did not start off with landlines. Everyone has basically gone straight to a smartphone, which means that even in these very remote areas if you snap a picture it goes straight onto social media. That is instantaneous. Of course, controversial pictures of burning or all types of other unsustainable and controversial activities can be uploaded onto social media instantly. It is a very powerful deterrent to companies who are still, perhaps, unsustainable or doing the wrong thing. Khiang: What is exacerbating that fact is that the millennial generation is a lot more sensitive to sustainability issues. The moment they see such pictures they are chiming in on social media. Goon: It’s very much a generational thing. Certainly my children are far more aware of these issues at a young age than I was, and perhaps more than us versus our parents. A lot of the unsustainable activities that some companies used to get away with are impossible. Everything from satellite monitoring to remote sensors that are available at your fingertips today mean there is nowhere to hide. GTR: Are there certain areas in the world or certain scales of company where it is not really that much of a reputational issue? For large companies like you guys around the table it is huge, but perhaps on a certain scale reputational risk isn’t such a consideration? Goon: Eventually our products reach many consumers, and it is very direct sometimes, so food products are certainly an area where you have to have sustainable practices. Perhaps for products that are hidden within other products you may be able to get away with it. Kelly Chen: I think what you are asking is whether the smaller, perhaps palm oil, companies are getting as much attention. Yes, they feed into the supply chain of the bigger companies. Our sustainability policy covers all of our third-party suppliers as well. It may not affect them, but it will affect us and then we will put pressure on them to change. Manchanda: That is a very interesting point. How do you put that pressure on them to change? Khiang: For instance, with the Fire-Free Village Programme, because of the good relationship we have with the village we are able to convince them on the hazards for them and their children. You then have to provide alternatives. Instead of burning to clear land, we will give you a mechanical means to clear. On top of that we provide incentives to the village if they have zero fires to clear land. The relationship and engagement with the community is key. Kelly Chen: We have leverage to put pressure on them to conform with our sustainability standards because we are their customers. It is also important to recognise that the palm oil majors that have the same sustainability standards only make up about half of the refining capacity in Indonesia. There will still be an outlet for unsustainable oil. Zaman: The ICC did a study in 2013 on sustainability, covering a host of countries and companies. They concluded that when using voluntary standards you are very likely to hit a glass ceiling at some point. Coffee is an interesting example. Back in 2013 they concluded that about 29% of global coffee was then subject to some form of certification standards, but they really did not see the number going any higher than that because there are only so many coffee drinkers that you can get in the US and Europe. Of course, there could be influence from other countries like China, where there is an increasing coffee culture. If the Chinese consumer awareness for sustainability is not as high as it is in Europe and the US, you have a problem, which is that the coffee supply can then go into those countries without necessarily the pressures of the sustainability demand. It is that sustainability demand that supports the cost of the certification. GTR: The BEI has been around for some time. The sustainable shipment letter of credit (SSLC) has been in existence for a few years now and there was a lot of fanfare when it was first announced, and I have not particularly heard an awful lot about it since. There’s also the Soft Commodities Compact. Michael, can you give us an update on these? Michael Chen: In soft commodities, we are seeing interest from our customers, but it has been slow. Another good example is the social impact bonds. At the moment, a number of states in Australia, as well as New Zealand, are looking to upscale the use of social impact bonds to address social issues. These are complex transactions that require investment in time and energy to structure and arrange. There is not a huge market yet but we expect it to grow. Green bonds are another good example. Zaman: I believe that green bonds have been identified as one of the lead means for solving this problem in the climate change context. Therefore, I think it has parallels and applicability in the sustainability space. I do not think the awareness of its availability to the sustainability sector has necessarily filtered through. The green bonds criteria are broader than climate change mitigation. It is not just about emissions. It is also about social impact. Therefore, you can apply the green bonds standards in the context of sustainability, and you can launch a bond off the back of it. The practical problem, though, is that the market is driven by investors who are trying to meet their environmental, social and governance standard obligations. They are happy to invest in those bonds, provided a strong issuer supports the bond. You then get into the question of who the issuer of the bond is and the issuer’s credit rating. Ultimately, if the purpose of the bond is such that you are raising money to invest in your own sustainability projects, the question is how you repay the bond and the answer is off the back of the credit balance sheet of that issuer. If the issuer is a corporate, then really the bond market is limited to a small number of highly credit-worthy corporate issuers. In Asia, it is harder to find rated or credit-worthy corporate issuers. You can find lots of people with a good sustainability track record. Next to me, RGE is a pretty good example of that. The question would be would the investor community look at your credit-worthiness and say, ‘You are credit-worthy’? All the investments discussed cost money and the question is: how do you fund them? You can fund them off your own balance sheet, which is costly. You can fund them off project finance. However, bank lending is now struggling to lend for that sort of sector because of capital adequacy tests under Basel III. Actually, you are really looking towards the investment market. Marjanovic: Can I just ask, in your experience, what is the overall cost of issuing a green bond compared to a normal bond? The journey is being led fundamentally by the standards of the multilateral development banks. The standard criteria adopted by the private sector are not at the moment very harsh. The additional cost is therefore not huge. In order to make this a sustainable market, and in order for you to be able to create, for example, a secondary green bond trading market – which is really where you would start getting more demand – you need to be able to ensure that the programme that you are investing in is credible. Marjanovic: It is interesting that you said it is the multilaterals that are driving things. That has been the case historically, with the IFC and others, and the performance standards and so forth. What do you think are the impediments to the commercial banking sector taking the lead? Is it an incentive issue? Michael Chen: Green bonds are interesting. I think we reached the inflection point last year. Green bonds were a US$40bn market last year, and it’s forecast to be a US$100bn this year. We are the first bank to launch a green bond in Australia. Demand in Australia is strong, but it has not reached the same level of maturity as it has in Europe and the United States. We are always looking for opportunities in the green bond space. GTR: Why do you think that is, Michael? Michael Chen: It could just be familiarity with the product. It is still on the back of your balance sheet, so the credit quality is the same. People are still coming up the curve with the climate bond standards and its verification. However, I will say that I think the tides are turning. Apple issued US$12bn on a standard bond issuance, US$1.5bn of which was for a green bond and earmarked for various green projects. I think the model of issuing green and non-green notes at the same time is a great way of increasing awareness of green bonds with investors that do not necessarily have a green mandate. Manchanda: The green bond market is showing a lot of growth in Asia, for example in China and India. An exciting development is the Indian Government putting out disclosure requirements for the issuance and listing of green bonds and there have been a number of issuers in India. Zaman: There is a debate in the green bond sector about whether or not the right way is to leave it to the private sector to lead, or to have a regulatory framework supporting green bonds. China is an example of what a regulatory framework can do. China has gone down the route of regulating its banking sector, and the bond issuance programme. Under China’s bond issuance programme they now have a series of incentives that have encouraged their banking sector to raise funding through the inter-bank bond market, so that they can drive the money raised towards renewable energy. This is part of China’s focus on moving away from dirty fossil fuel-based energy, and finding a source of funding for renewable energy production. China is unique though, and you have to recognise that. They can do everything at scale. They can create and make things happen in a way that other countries cannot. Ultimately, they have done one thing and that is recognising that without incentives and regulatory support the potential of moving investor focus towards green bonds is limited. India is picking up on that. Other western countries are leaving it to the private sector to lead on. GTR: We have three trading groups here around the table. Are green bonds on your agenda? Blakeman: It is not significant. SSLCs are interesting to look at, and we would love to support it, but it is nothing that is major for us today. Goon: It is similar for us as well. Perhaps for our space as well you have other alternatives out there that are perhaps more financially competitive, and with fewer hoops to jump through. That is why it is of less interest to us. GTR: What would those alternatives be? Goon: It would just be normal, traditional sources of financing. You get fantastic rates and you do not have to jump through all of these various hoops. GTR: To bring this to a conclusion, I’ll ask everybody, with a hint of brevity, to predict what we’ll see over the next five years with regards to sustainability. Goon: I personally think, certainly in our space and for our industry, more has happened, and more progress has been made in the last two years than in the previous 10 before that. I think that certain commitments that certain corporates in our space have made in the last couple of years, as well as the subsequent commitments that a lot of the other big conglomerates have made, have basically charted us down a path that I think is irreversible now. I am optimistic that more will be done in the next five years than in the previous 25. Blakeman: Realistically, I would say that sustainability is here to stay. This is not a fad. It is something we are all going to be living with, and I will probably end my career working on sustainability issues. Idealistically, I want to reiterate what Jeremy said, which is that one of the key stakeholders in a lot of these issues is government. Particularly in developing countries we do not see governments stepping up to the table to take leadership roles in this. It is seen as western imperialism in a lot of instances. It is seen as a detriment to further development. Those are the issues that idealistically I hope we can conquer over the next few years, so that everybody figures out that this is in everybody’s best interests and we can all move forward. Khiang: I think the drivers for change are going to be there. The standards are going to continually rise. The demands are going to be higher because the impact of climate change is a lot more visible now. People are talking about there being a higher temperature outside and there being storms. It has become more impactful from a climate change perspective. Therefore, the transparency demand will be even greater. Hopefully, with this realisation we can be much clearer in the way to move forward. The prediction going forward is that phase three, which is what they call the action phase, is where we are going to be. During the action phase we are going to see what pilot schemes being rolled out become, and they will not just be programmes running in one country or one department but will be corporate-wide and then multinational. It becomes ingrained in the DNA, not just of the programme of the business in one or two places, but across the board. We are going to see a lot more of that. Marjanovic: I think the whole cultural shift will continue. You can see that happening. From what you, Jeremy and Bey are saying, there is a distinct trend, and it will continue. More specifically, the regulatory environment impacting on the banks, I think, speaking optimistically, will lead to new products being created that will look to address the growing regulatory capital issues, and that will act as an incentive for the next stage of evolution of accommodating these purposes. Michael Chen: I think the use of market mechanisms to address environmental and social issues will hopefully be part of the norm. We are seeing that in the green bond markets, and more and more carbon markets are cropping up around the world. Also, there are commercial solutions being used to address social issues. For a bank, what’s exciting is the ability to offer our products and services to address environmental and social challenges. Manchanda: For my part, in the next five years I would like to see a growth in green bonds, or any sustainable financing of that nature.